My theme leading into the Gilbane Boston Conference this week comes straight from the headlines and New Hampshire political ads that manage to spill over the border into our fair Commonwealth of Massachusetts. If you live outside of the zone of early caucus and primary states, you are probably spared the ad nauseam recitations of all the crises that Rudy Giuliani has met and conquered. In thinking about our collective longing for a true leader in the White House, I began to reflect on all the other places I would like to see leadership. My musings brought me straight to a message I try to impart to clients and professional colleagues struggling with issues of leveraging knowledge and technology. True leadership is very hard because it requires thinking, projecting and anticipating. It requires abstract thinking about possibilities for making improvements in complex areas. It requires the ability to mentally juggle huge numbers of variables, many of which the true leader knows he/she can’t possibly control but may be able to foresee as possible complications. It requires bucking the status quo. Anyone can react, and many can react with reasonably appropriate actions, actions that work for the immediate crisis. However, sizing up an enterprise in which things are running in a seemingly routine fashion, and taking the initiative to systematically seek out lurking crises, potential problems, and areas for improvement, and then applying thoughtful and incremental change activities to ensure better outcomes may seem boring – but this is true leadership. Finally, think about all the ways in which our political leaders seem to thrive on talking about only the monumental crises of the country and world. Think about how our news is driven by immediate crises. We seem to be conditioned to only react to what we are being shown and told. True leaders are seekers, self-educators, investigators, learners and thinkers. Our best leaders are those who get to the core of our political and business enterprises and find a better way for the whole to work more smoothly, with an ultimate goal of bringing positive good to the members of the community. They succeed though personal diligence, finding the will to persevere while immersing themselves in the mundane and routine operations of their domains. They observe and they think about what they observe; they also talk to others and reflect mindfully on what they hear before acting. 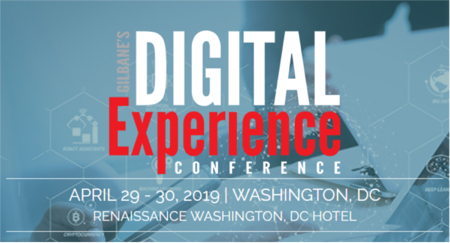 As I prepare my opening remarks for several sessions on enterprise search and semantic technologies at the conference over the next three days, I am pondering how I can stimulate the audience to take the time to open their minds to think about what speakers and exhibitors introduce. I want them to think, really think, about what they are hearing. I want them to develop new ideas, new ways of innovating, new ways to make the mundane better and take it back to their enterprises with a purpose – not just with information to be used in the event of a direct work challenge, demand or crisis. I want to lead others to lead from a thoughtfully critical point of view. So, take a look at technologies from the perspective of action toward systemic improvements instead of a reaction to solving only the latest crisis in your enterprise.